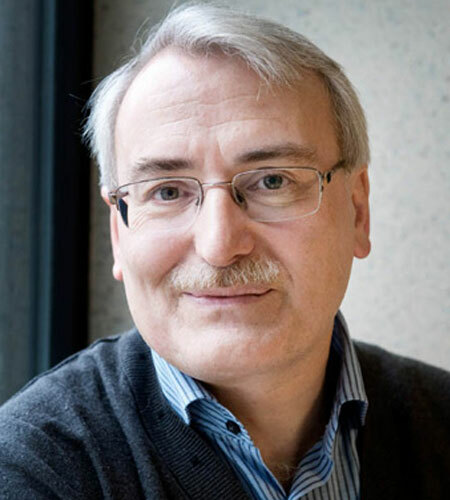 Prof. François J. M. Eyskens, MD, PhD is the head of the department for the Metabolic Disorders in children (University Hospital of Antwerp, BE). Center of Inherited Metabolic Diseases, Metabolic Lab (PCMA vzw). François Eyskens was born January 5, 1959. He did his medical studies at the University of Antwerp. After his training in paediatrics at the Kinderziekenhuis Antwerpen, he became a pediatrician in 1989. His training in metabolic diseases took place in the Wilhelmina Kinderziekenhuis, Utrecht, The Netherlands. From 1987 till now he is involved in the neonatal mass screening program in Antwerp at the Provinciaal Centrum voor Metabole Aandoeningen (PCMA). In 1997 he obtained his Degree of Doctor in Medical Sciences (PhD) defending his thesis “Neonatal Screening. The Experience in Antwerp”. Actually he is working as a chief of clinics in Paediatrics at the University Hospital of Antwerp (UZA) and coordinates the Center of Metabolic Diseases (CEMA) located at the sites of UZA and ZNA. He is the executive director of the PCMA vzw, the metabolic laboratory, where the analysis of different metabolic compounds is performed. He is an associate professor at the University of Antwerp (Dept of Medicine; Laboratory of Experimental Medicine and Pediatrics). Specific domains of interest and research: creating awareness and screening for inherited metabolic diseases in the neonatal period and in populations at risk ; organic acidurias; lysosomal storage diseases (innovative therapies); learning and cognitive disturbances due to inherited metabolic diseases; psychiatric disturbances as first clinical presentation of inherited metabolic diseases.